Everyone want to know how air blue makes the best airline? The major reason, this airline operates for both international and domestic spots. Pakistan’s first online travel company Faremakers provides you cheap airline tickets of air blue and different other airlines. It’s too much easy for customers, they can reserve desirable flight package after few clicks. You can also get authentic flight deals with discounted fare from our website. The airline was established in 2003 and started operations on 18 June 2004 with three planes for domestic landing. On 14 August 2005 it launched its first international flight. 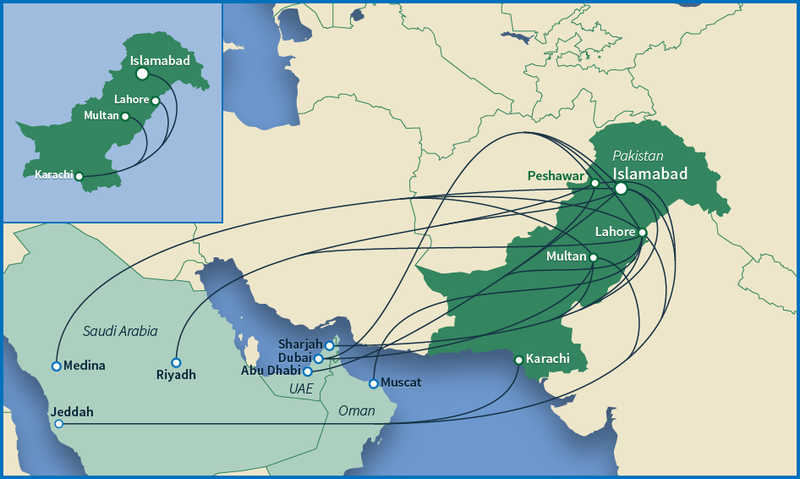 It became popular vey soon in Pakistan because they provide low fare flights. It approaches multiple of worldwide destinations because of second international low fare airline. This aircraft become your journey satisfying and enjoyable. It gives superb hospitality to its travelers. It offers hygienic meal to their passengers. Seats are very comfortable and fully snug. It provide safe and sound journey by heart services. To get cheapest flight tickets you have to make advance booking. It makes your travel comfortable and pleasant with affordable fare. Advance online booking give assurance of cheapest air fare. If you are in emergency situation and have no time to print tickets then in that case our company drop tickets on your location, not only this even you can travel on reference number. The stuff which you carry with you in the form of suitcase and backpacks, it says baggage/luggage. Traveler can bring 30kg luggage in flight and 1 piece of hand carry which weight would be only 7 kg. To more inquire about air blue online reservation, flight schedule and any other detail please call on our Toll free number (0800-00747) .Don’t forget your travel planning is our first priority.